Edward MacLysaght in his ‘More Irish Families’ wrote of the Tannians that, while there were some families of the name in County Galway in the middle of the twentieth century the name was little known outside Connacht. [i] He noted that the ‘Gaelic-Irish’ form of the name O Tanaidhen was used in the only reference to one of the name in the Annals of Loch Cé, wherein Diarmuid Ó Tanaidhen was one of three ‘prominent Connachtmen who assassinated the king of the day’ in December of 1406. 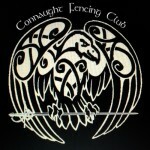 The leading line of the name would appear to have become obscure by an early period to the extent that the name cannot be ascribed any particular ancestral territory in the medieval or late medieval period within Connacht. There are no known references to individuals of the name in the pardons or fiants of the Tudor monarchs. Similarly, no individual of the name was recorded as a significant landed proprietor in county Galway in the early or mid seventeenth century. None of the name were recorded as transplanted by the Cromwellian authorities in the seventeenth century. As the occurrence of the name in nineteenth and early twentieth century records was confined to County Galway and those of the name were spread across a wide area of that county east of the city of Galway, it would suggest that the name originated within that region. 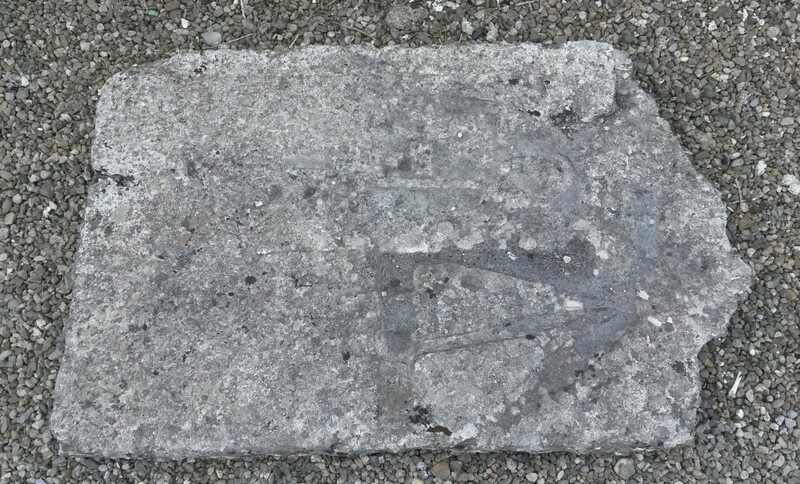 A grave-slab in the ruined church of the Dominican friary at Athenry carries one of the rare surviving references from the seventeenth century to an individual of the name. 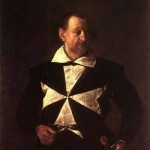 [iv] Thomas Tanian, who appears to have flourished in the mid or late seventeenth century, and whose occupation would appear to have been that of blacksmith or farrier, died in or about 1682 and was buried in the nave of the friary church. When R.A.S. Macalister visited the ruins of the friary about 1913 he described the Tanian broken grave-slab, located ‘under the tower, close to the south pier,’ as bearing ‘a cross pattée with long stem and a number of smith’s tools – a bellows on the dexter side, and on the sinister an augur, pincers, anvil and horseshoe and a hook-shaped object.’ The surviving inscription on two edges he gave as ‘FOR THE VSE OF THOMAS TANIAN AND HIS (POSTERITY).’[v] At the base of the cross was the date 1682. Illustration of the grave-slab of Thomas Tanian, dated 1682, at Athenry Friary, published with R.A.S. Macalister’s 1913 article in the Journal of the Royal Society of Antiquaries of Ireland. 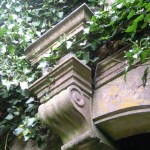 The friary and certain tombs and funereal monuments were damaged by the Cromwellians in the mid seventeenth century. 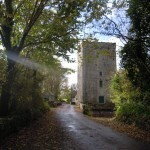 Macalister recorded the slab as located ‘under the tower’ about 1913 in which location it remains into the early twenty-first century. 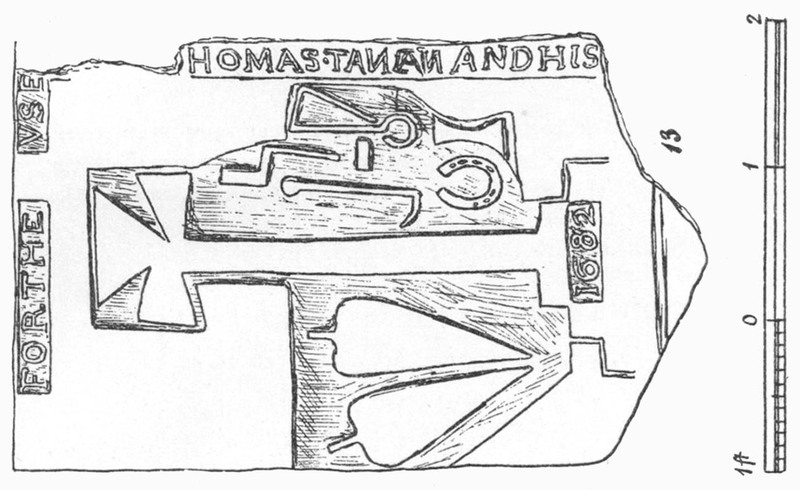 The recumbent grave-slab is one of a number of late seventeenth or early eighteenth century grave-slabs at Athenry Friary bearing smith’s tools or those of a similar occupation, only one of which relates to a Tanian. The Tanian grave-slab in the ruins of the Athenry friary church in 2015. Oral tradition relates an apocryphal story that within a family of Tannian the trade of blacksmith passed down through consecutive generations from that Tannian buried at the Athenry friary church. [vi] The tradition cannot be substantiated but it is noteworthy that, given the scarcity of the name, a high percentage of households of that name or variant thereof were found as blacksmiths in the nineteenth and early twentieth centuries. The preponderance of blacksmiths would give credence to the possibility that several of the name in the nineteenth century may have descended from a common ancestor at some stage whose occupation was that of blacksmith. Among those who emigrated from Ireland in the mid nineteenth century was one Thomas Tannion, who was born in Isertkelly on the eastern border of the parish of Ardrahan about 1831. He immigrated to the United States of America in 1846 and settled initially in Connecticut where he married. He would spend most of his life as a blacksmith in the town of Vanceburg in Kentucky, where he died in 1905 as one of the earliest settlers and oldest residents of that town. [vii] While his name was given in contemporary local newspaper articles and in his obituary as Tannion, he spelled the family name Tanahan in the 1870 Federal Census. Not all of those Tannians who emigrated to other countries found employment as a blacksmith but another who did was one John Tannion who was born about 1829 in Ireland and who was living on Valpariso Street in San Francisco, California in 1869 where he worked as a blacksmith. [viii] He was still working as a blacksmith and resident there with his wife and three sons and three daughters in 1880, while his sixteen year old eldest son Martin was employed as a car-builder. The occupations of the heads of the various households were not recorded in Griffith’s Valuation but it is evident that one Martin Tanian who rented his house, outbuildings, land of four acres and forge in the parish of Belclare from James Clarke, was a blacksmith. Belclare lies to the west of the town of Tuam and within that parish Tanian’s property was located in the townland of Carrowbeg South. Approximately half a century later, Michael Tannian was resident in Carrowbeg South and still working as a blacksmith at the age of sixty-seven years. He lived with his wife Ellen, daughter Mary and his three sons; John, Michael and Patrick, who were all recorded in the 1901 Census of Ireland as blacksmiths. In the same parish of Belclare, another Tanian household lay in the adjacent townland of Carrowbeg North; that of Bridget Tanian. While she rented her two acres from Dominick Lynch about 1855 it is not evident if she was unmarried or a widow. In 1901, however, John Tannian, aged twenty seven years, was living with his wife Mary and his uncle Patrick Tannian in Carrowbeg North and both nephew and uncle were working as blacksmiths. John Tannian would appear to be the only other of the name in the county in the mid 1850s who was evidently a blacksmith. Living in the parish of Ardrahan in the south-west of the county, he rented from Burton Persse his house, outbuildings, land of nine acres and a forge in the townland of Grannagh, near the Persse estate of Roxborough. It is unclear, however, if he was the same individual as John Tannion who rented a house, garden and nineteen acres of land in the adjacent townland of Moneen East but those living in both townlands were related in the late nineteenth or early twentieth century. Other than those afore-mentioned, of those households recorded in Griffith’s Valuation, one Mary Tannian was living at Mulroog East in the parish of Kilcolgan in south-west County Galway, west of Ardrahan and not far from Kinvara Bay. John Tanian was living in the town of Galway in the parish of St. Nicholas while Judith Tanian was renting her small house at the west end of the street known as ‘King’s Entry’ in the town of Loughrea. A family of the name Tannyan were also renting land in the parish of Killeroran near the town of Mount Bellew Bridge and Moylough. 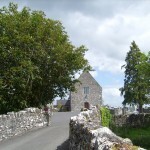 There, Patrick, Simon and John Tannyan rented two houses and land totalling thirteen acres in townland of Corrabaun in the parish of Killeroran, while the only other individual spelling his name thus was Jeremiah Tannyan who rented three acres of land from Lord Clonbrock in the townland of Creggaun (Dillon) in the parish of Ahascragh. 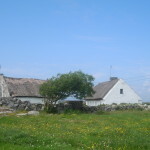 As there was no house recorded on that land it would appear likely that he was of the same family living at Corrabaun. The only other household of the name in the 1850s was that of Eleanor Tanahan in the parish of Killeany, who rented her house, outbuildings and twelve acres in the townland of Cloghanower, south of the town of Headford. In 1901 the sixty-seven year old John Tannian, a farmer, his wife and two sons and a daughter were living in Cloghanower, none of whom were blacksmiths. Almost all households of the name in the mid 1850s were smallholders renting either their house or renting their house and a few acres from their landlord. Only one household appears to have rented a larger holding; that of Michael Tannyn, whose name would also appear to have been simultaneously given as Tennion. The lands of Michael Tannyn lay in the south of the large parish of Moylough, near and west of the village of Menlough and were all rented from Robert French. As Michael Tannyn he rented his house, outbuildings and land of fifty-five acres in the townland of Gorteendrisagh, while jointly with one James Ruane he rented eighteen acres in the same townland. As Michael Tennion, together with one John Byrne, he rented a herd’s house, outbuildings and one hundred and fifty-six acres in the townland of Ballynamona and solely rented eight acres in the townland of Pollacrossaun. His occupation was that of farmer and in 1901 Margaret Tannian was head of that household living in Gorteendrisagh and described herself as a farmer and a widow, living with her four sons (all ‘farmer’s sons’), two daughters, two grandsons and one granddaughter. Including those previously mentioned above, the 1901 Census of Ireland recorded a total of sixteen households of the name in Ireland. Only one was resident outside of County Galway; that of Darby Tannian, who was a forty year old Inland Revenue officer at the time of that census and living in Church Street, Tullamore in King’s County (later County Offaly) with his wife son and daughter. While his wife and two eldest children were born in County Tipperary, Darby was born in County Galway. Ten years later, when living in Yorkshire West Riding in England with his son, wife and three daughters he would give his birthplace in the national census as the parish of Menlough in County Galway. Given the proximity of the lands of Michael Tannyn at Gorteendrisagh to Menlough it may suggest a close familial relationship between Darby Tannian and the family of Margaret Tannian of Gorteendrisagh. Of the other households of the name in 1901 not previously mentioned, one household of Tannians lived in Galway town while an eighty-year old widow and domestic servant, lived alone in Kilcornan in the parish of Kilkerrin and another household was located in the nearby townland of Curraghghleamnagh in the same parish. Another was situated in Killaghaun near Mount Hazel, south west of the village of Castleblakeney while Stephen Tanian and his stepson and his stepson’s wife lived in the townland of Timard near Clonbern, between the towns of Moylough and Dunmore and not distant from Kilkerrin. One household lived in Monivea village while another lived in Knockatcher near Monivea. In the south of the county one Michael Tannian and his wife and five daughters lived at Drummin in the parish of Kilbeacanty, to the south-east of Gort while one Thomas Tannian and his stepmother lived in Moneen East, in the parish of Ardrahan, adjacent to Isertkelly and Roxborough. 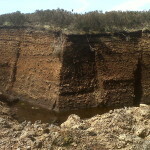 Only those families living in the parish of Belclare and one other large family living in the south-west of the county, that of James Tanniane of Grannagh North, in the parish of Ardrahan, were working as blacksmiths in 1901, the remainder, with the exception of the elderly widow in the parish of Kilkerrin and the household in Galway City, all described themselves as farmers or sons of farmers. 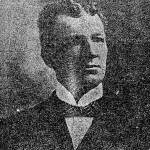 James Tanniane was aged fifty years in 1901 and married to Bridget, his thirty-nine year old wife. He worked as a blacksmith and together they had six sons and five daughters living in that year; John, Patt, James, Thomas, Michael, Martin, Mary Kate, Lizzie, Celia, Delia and Norah. One servant was recorded at the house at the time of the national census in April of that year and he was also employed as a blacksmith. 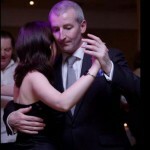 Within the following three years James and Bridget Tanniane would have another son Jerome and daughter Jessie. They lived adjacent to the Persse estate of Roxborough and across the road from Jame’s relative Thomas Tannian in Moneen East. [ix] In 1901 James and his two eldest sons, John and Patt, aged seventeen and fifteen respectively, were working as blacksmiths, while the younger sons were in school. Ten years later John and Patt were no longer living at Grannagh and James the younger was working alongside his father as a blacksmith while both Michael and Martin were apprentice blacksmiths. [i] MacLysaght, E., More Irish Families, Revised Edition, Irish Academic Press, Dublin, 1982, p. 199. [ii] Annals of the Four Masters, 1406.2. [iii] Annals of Loch Cé, 1406.5; Annals of Connacht 1406.6. 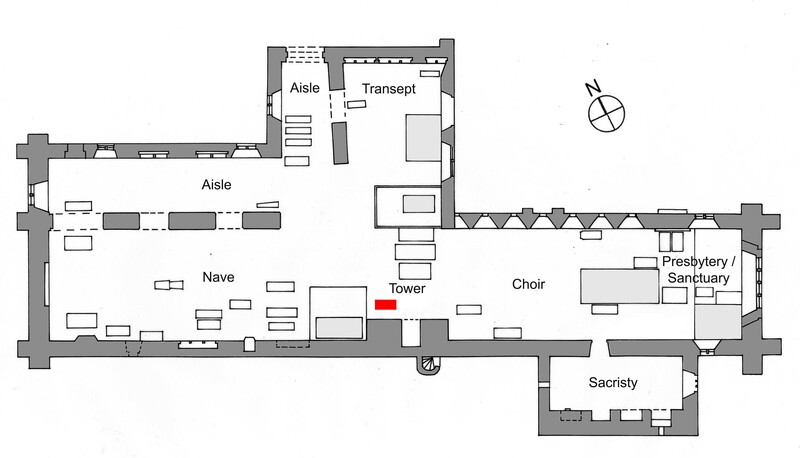 [iv] Macalister, R.A.S., The Dominican Abbey at Athenry, J.R.S.A.I., Sixth Series, Vol. 3, No. 3, 1913, p. 214 & Plate IX, No. 13. [v] Macalister, R.A.S., The Dominican Abbey at Athenry, J.R.S.A.I., Sixth Series, Vol. 3, No. 3, 1913, p. 214 & Plate IX, No. 13. [vi] Information provided to the author by Mr. Seamus Lynch, Market Square, Athenry. The informant described the story as apocryphal. [vii] Daily Public Ledger, Maysville, Kentucky, 1905; Daily Public Ledger, 10th May 1895. [viii] San Francisco Directory 1869, p. 595; US Federal Census, San Francisco, 1880. House no. 12 Valpariso Street. [ix] Information provided by Mr. M. Tannian, Lisatunna, Ardrahan, County Galway. [x] Information provided by Mr. M. Tannian, Lisatunna, Ardrahan, County Galway. [xi] Information provided by Mr. Seamus Lynch, Market Square, Athenry and Mr. M. Tannian, Lisatunna, Ardrahan, County Galway; Burke, R., The History of Tannian’s Forge, Guaire, Issue No. 30, 2006, p. 33. [xii] Burke, R., The History of Tannian’s Forge, Guaire, Issue No. 30, 2006, p. 33.